Noelle gets her “Grown Woman” on. With a sound that blends R&B and Pop and a sweet smooth voice that reminds you of the softness of Ashanti but the power of Monica. Guys, she’s a beauty and can possibly beat you at hoops too. She was an All-American in high school and played college basketball too. However thefreshmusicpage.com is about one thing and that is music. She has a new album that she released via Itunes. The name of it is “Its Personal”, the first song I heard was “Do It” and it was straight but it’s not the stand out. However, when I heard “Grown Woman” I knew I had to feature her. It has that dare I say it Beyonce feel and swagger to it? That’s the song you find your self singing and it get’s really weird when you are a man going around singing to yourself “Get on your grown woman”. Ha! Here is Noelle practicing her "Grown Woman" dance. You can buy her single "DO IT!" 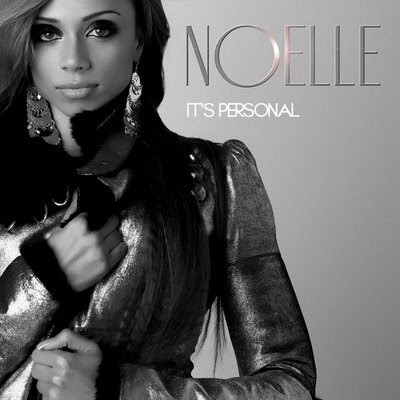 and album "IT'S PERSONAL" on Itunes NOW!!! !